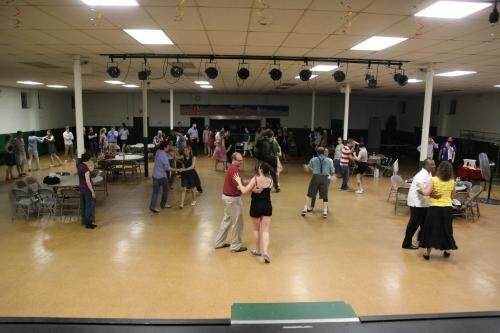 Vintage Swing Dancing has come to West Chester, PA… Swing Kat Entertainment is now teaching West Chester dance classes in the Vintage Swing Styles of dance! If you live in nearby areas such as Downingtown, Coatesville, Malvern, Exton, Unionville, Chadds Ford and Newtown Square, our West Chester dance classes are only a short drive away. Swing Kat has partnered with YMCAs, children’s dance studio, and adult dance studios to take vintage swing from Pottstown out to other area residents. Now West Chester dance classes in vintage swing are a reality due to the kindness and foresight of our friends at Anytime Fitness. This is first time Swing Kat & Anytime Fitness have partnered to bring dance to local residents interested in partner dance styles. However we are sure this will lead to a long standing relationship and know that our partnership will make West Chester dance classes a reality for vintage swing dancers. If you have an interest in adult swing dance lessons the Swing Kat Entertainment stands head and shoulders above the rest. Thinking outside the box, instructing in better ways and simply caring that students truly learn to social dance have made Swing Kat your best option in West Chester dance classes. Meanwhile, you are ready to take vintage swing classes, so check out our West Chester dance classes and sign up today, Click Here!